Posted by geoconger in Church of England Newspaper, Disaster Relief, Nippon Sei Ko Kai. The Primate of the Nippon Sei Ko Kai has written a pastoral letter to Japanese Anglicans marking the first anniversary of the Great East Japan Earthquake. Archbishop Nathaniel Uematsu thanked Anglicans for their outreach to those left homeless by the 11 March 2011 magnitude 9.0 earthquake that devastated Japan’s East Coast province of Tohoku, but noted the experience had shown Japan that it must end its reliance upon nuclear power. The most powerful quake ever to hit Japan, the Great East Japan Earthquake caused massive destruction and triggered a tsunami whose waves rose to 133 ft when it came ashore in Iwate Prefecture and pushed six miles inland around the city of Sendai. On 12 March 2012, a Japanese National Police Agency report confirmed 15,854 deaths, 26,992 injuries, and 3,155 people missing across twenty prefectures from the earthquake and tsunami. 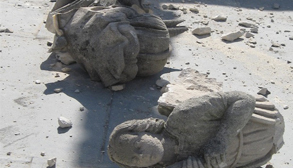 The physical destruction caused by the quake left 129,225 buildings destroyed, 254,204 buildings “half collapsed”, and another 691,766 buildings partially damaged the police reported. The World Bank estimated the economic cost of the earthquake at $235 billion, making it the most expensive natural disaster in world history. The tsunami waters also led to meltdowns at three reactors at the Fukushima Daiichi Nuclear Power Plant, forcing residents within a 12 mile radius of the plants to leave their homes. The Japanese government has since shut down most of the country’s 54 reactors, which had provided some 30 per cent of Japan’s electricity, leading to mandatory conservation schemes and rolling blackouts for the whole country as the country switches over to alternate forms of power generation. “Now we must seek to change our lifestyle and find different energy sources,” the archbishop said. Posted by geoconger in Anglican Church of Aotearoa New Zealand & Polynesia, Church of England Newspaper. 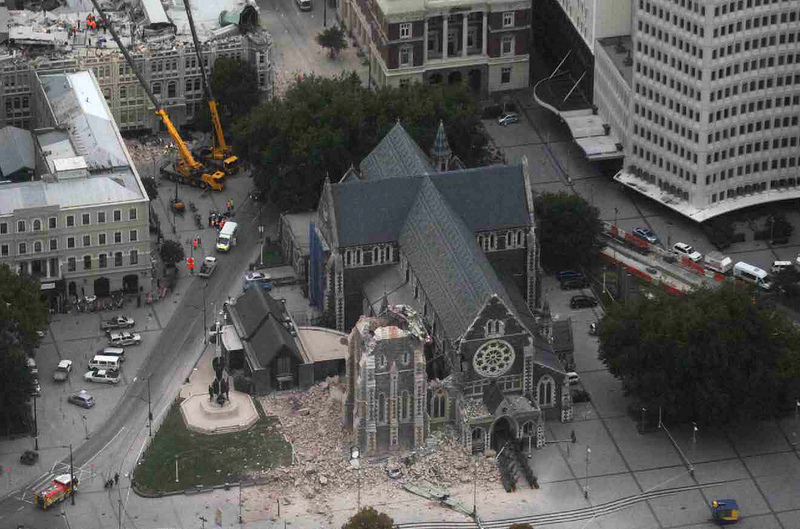 The Diocese of Christchurch in New Zealand reports that it will level its earthquake ravaged cathedral, bringing its walls down to a height of two to three meters. However, Bishop Victoria Matthews announced that the cathedral’s footprint would remain untouched and no wrecking balls would be used in the demolition. “In regard to the cathedral specifically, the sums are staggering,” the bishop said. “A replica cathedral has been ruled out due to an estimated $100 million shortfall, while a new build incorporating some of the old would incur a shortfall of up to $50 million,” Bishop Matthews said. “I am sad to have to relay this decision but I believe it is the way forward,” she added.